Recently, writer and podcaster Matt Wallace took to Twitter to share a pretty devastating theory that may prove all those dorm room posters were right about J.R.R. Tolkien’s masterpiece. 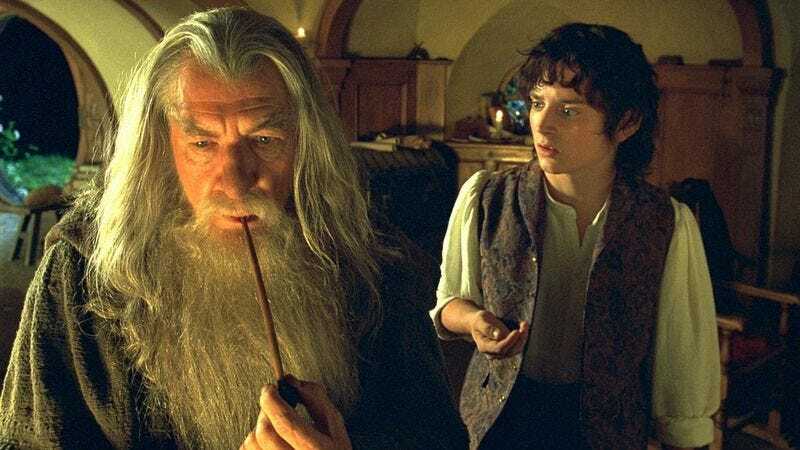 In a series of 40+ tweets, Wallace’s mini-essay proposes that both The Hobbit and the Lord Of The Rings trilogy are simply cover stories for the seemingly harmless Hobbits’ nefarious drug trade that has been plaguing Middle Earth for centuries. Everything from Bilbo’s journey to the Lonely Mountain to Frodo’s final climb up Mount Doom were concocted by the Shire-dwellers to serve the almighty pipe weed. Sure, it’s fun to imagine a race of halflings making bank off the weak-willed race of men, with wise-cracking Bilbo playing the role of a knee-high Pablo Escobar, but as we come to the beginning of The Hobbit things start to get real. That Bilbo was ruthless. And things only get potentially crazier as we head into Lord Of The Rings, when Frodo inherits the drug trade and orchestrates the journey into Mordor so he can take out Sauron once and for all, wheeling and dealing his way across the land. The theory certainly paints these beloved characters in a different light and it doesn’t help that, in the world of the novels, all the books are supposedly penned by Bilbo, Frodo, and Sam. It’s like asking Walter White to give an objective description of the events of Breaking Bad. Unfortunately, since Tolkien is dead and isn’t around to say whether this theory is accurate or not, we’ll just have to assume that it definitely is. One hundred percent. This is canon now.